The newly married Britain's Prince Harry, Duke of Sussex, (R) and Meghan Markle, Duchess of Sussex, (L) leave Windsor Castle in Windsor on May 19, 2018 after their wedding to attend an evening reception at Frogmore House. 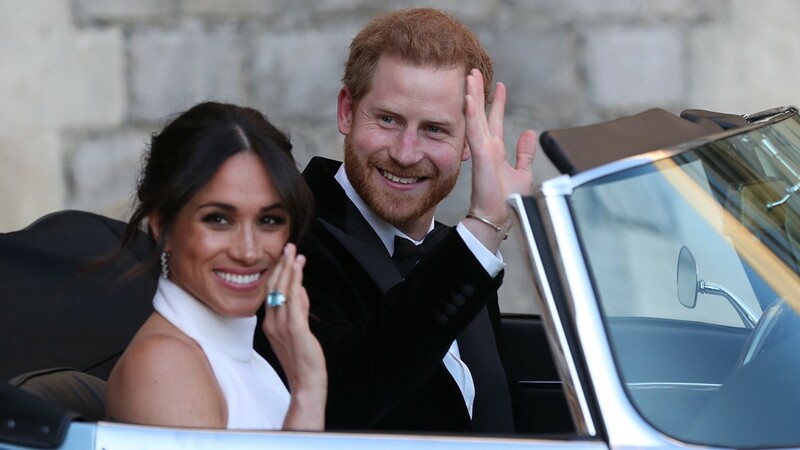 Britain's Prince Harry, Duke of Sussex, (R) and Meghan Markle, Duchess of Sussex, (L) leave Windsor Castle in Windsor on May 19, 2018 after their wedding to attend an evening reception at Frogmore House. 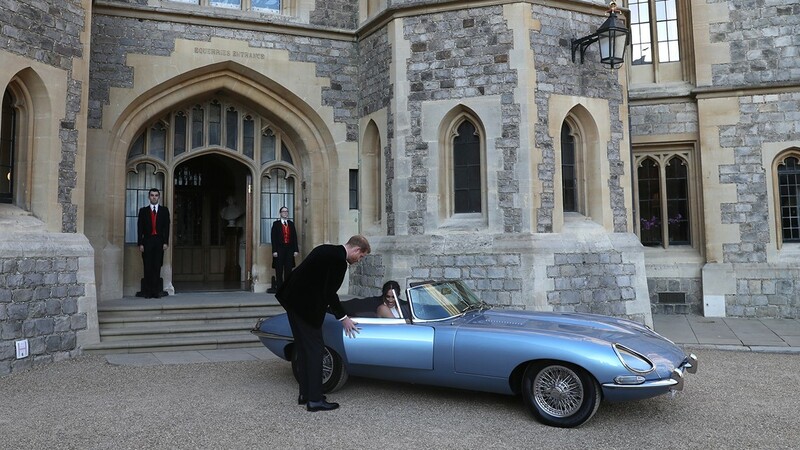 Prince Harry opens the passenger door of an E-Type Jaguar car for his wife Meghan Markle, Duchess of Sussex, (R) as they leave Windsor Castle in Windsor on May 19, 2018 after their wedding to attend an evening reception at Frogmore House. 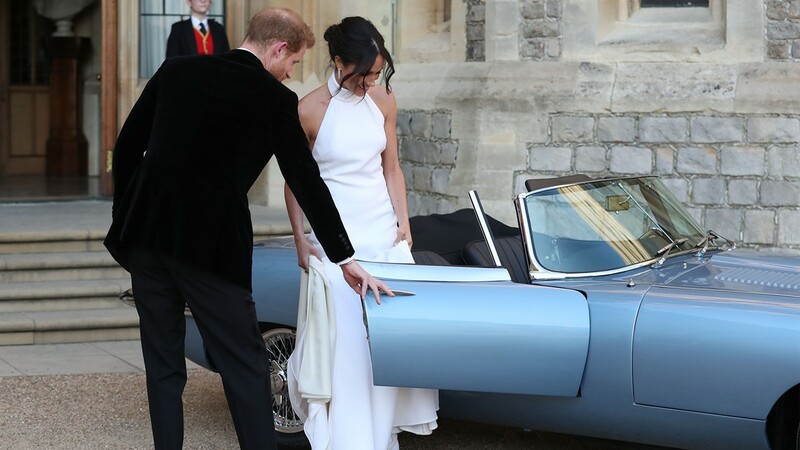 Prince Harry, Duke of Sussex helps his new bride the Duchess of Sussex into the car as they leave Windsor Castle after their wedding to attend an evening reception at Frogmore House, hosted by the Prince of Wales on May 19, 2018 in Windsor, England. 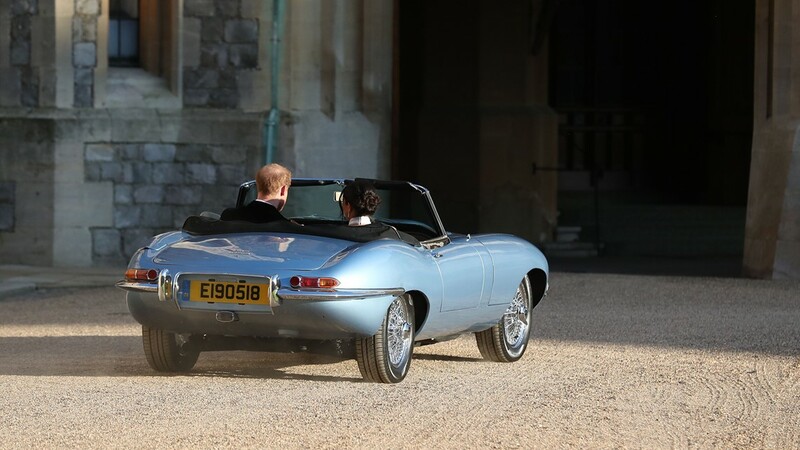 Britain's Prince Harry, Duke of Sussex, (R) and Meghan Markle, Duchess of Sussex, (L) leave Windsor Castle in Windsor on May 19, 2018 in an E-Type Jaguar after their wedding to attend an evening reception at Frogmore House. 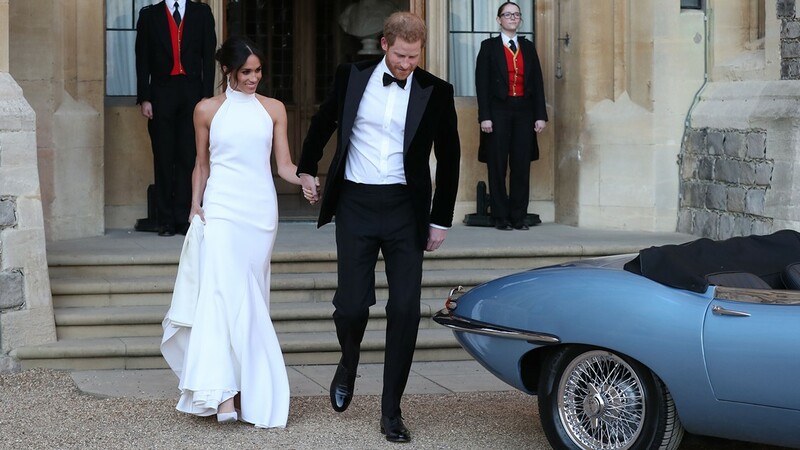 Duchess of Sussex and Prince Harry, Duke of Sussex leave Windsor Castle by car after their wedding to attend an evening reception at Frogmore House, hosted by the Prince of Wales on May 19, 2018 in Windsor, England. 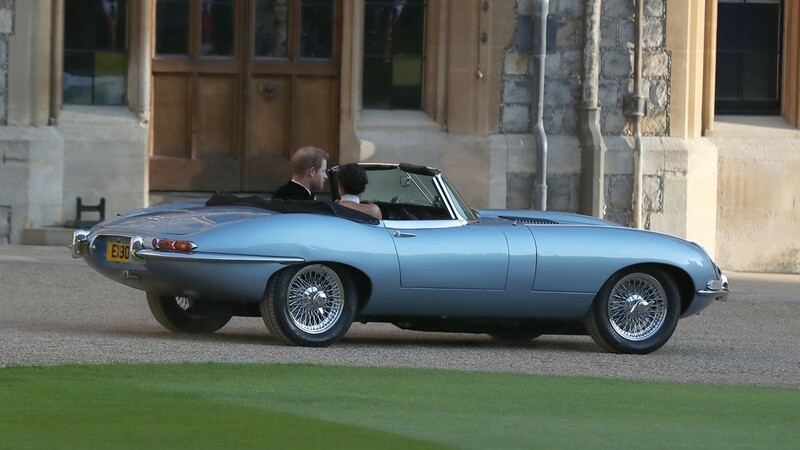 Britain's Prince Harry, Duke of Sussex, and Meghan Markle, Duchess of Sussex, leave Windsor Castle in Windsor on May 19, 2018 in an E-Type Jaguar after their wedding to attend an evening reception at Frogmore House.